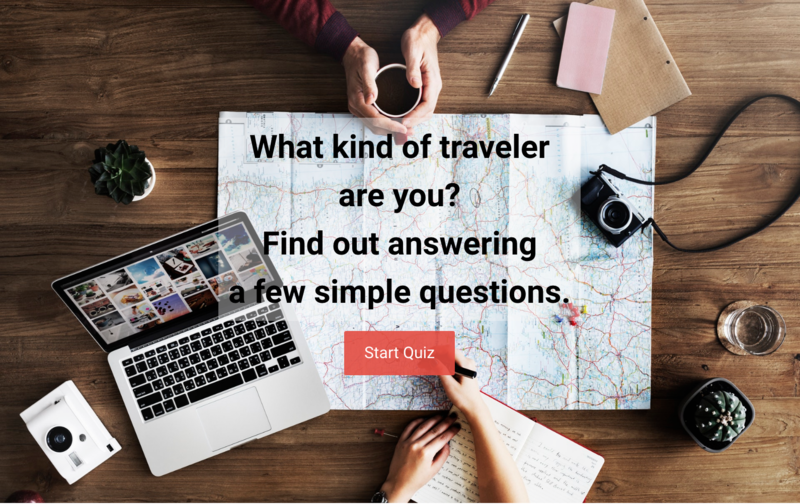 Advisor Quiz is a Premium WordPress plugin to develop quizzes with results that include content or product suggestions based on user’s answers. Compatible with WooCommerce, Easy Digital Downloads and Custom Post Types. Take advantage of the enormous quiz marketing and engagement potential, segment your visitors based on their interests and make informed content/product suggestions to improve conversions and get leads. You don’t need to attach recommendations to each quiz, the plugin will still work as a normal quiz builder and you can still take advantage of it. Content Filter – New to WordPress! Build a group of questions and answers that will act as filters for your content or products. More than a quiz, this will act as a wizard or assistant. 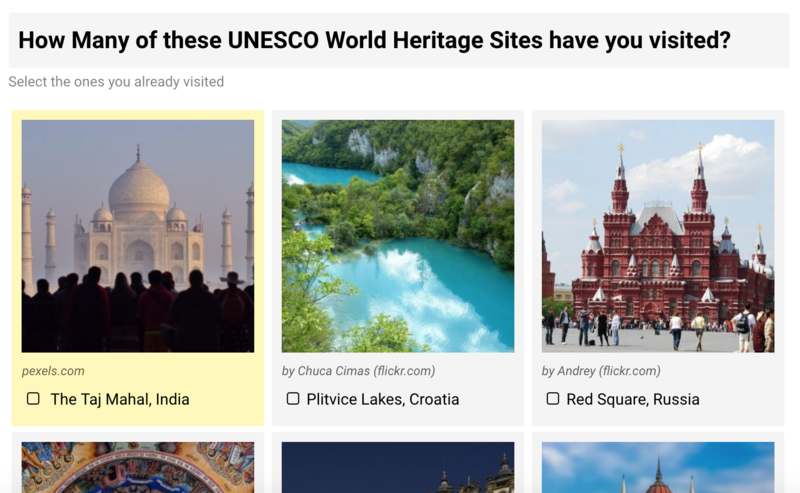 Disguise your advanced search as a quiz to engage users and allow them to find the perfect match of content or products. Each answer will correspond to a filter and in the end all filters will be merged and performed search query to find the matches. 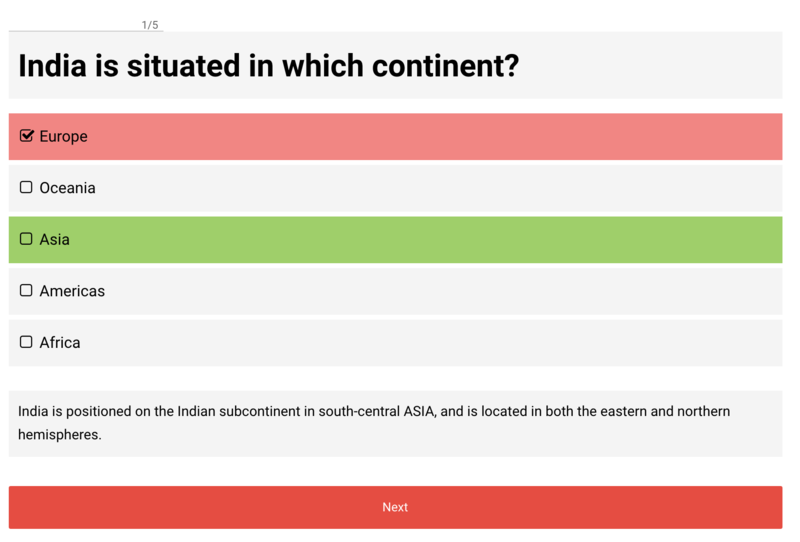 You can also setup dependent questions, that will only display if users selected a specific answer on a previous question. The possibility are endless. Perfect for online shops to allow users to search the perfect product in a more engaging way, improving conversions. Help them find the perfect Christmas and birthday presents or valentine’s day gifts, for example. The most common quiz type, where you can test your users knowledge. Build questions with a correct answer or a group of correct answers and provide feedback depending on their score. To each feedback you prepare you can attach content or products recommendations. You can choose to display a set of random questions each time the quiz loads, allow multiple answers questions and reveal an explanation after the questions are answered. Probably the most popular and viral kind of quiz. Ask questions to your users that will provide a profile in the end based on those answers. 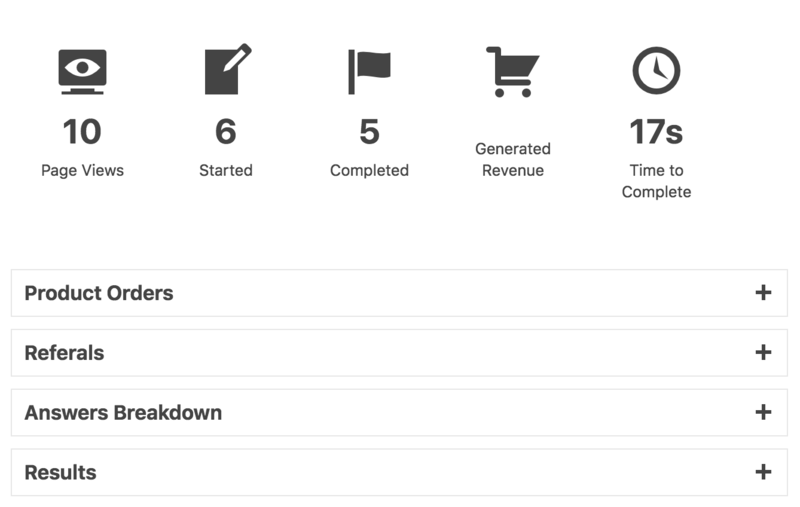 To each profile/personality you create you can attach content/product suggestions. This is a great way to segment your users based on their interests and personality. You can display more than one profile/personality in the end. Simple concept, but big potential. Ask one or more questions to your users where there isn’t a right or wrong answer, they will simply have to select as many answers as it fits them, depending on the question. For example, ask them how many different types of food they already tried from the list, or number of places they have visited. The user will get feedback based on the amount of options selected. You can attach products or content suggestions to each feedback created or you can setup suggestions to each answer entry and display suggestions based on the answers the user choose or didn’t choose. You could for example recommend articles about places they didn’t visit or links to recipes of food they didn’t try yet. This layout will work as a slider presentation and each question will have an image in the background. One question will display at a time. Perfect if you want your user to focus on the quiz and engage him with beautiful background images. The most common quiz layout, where each question and answers can have images. If you’re looking for something more simple and don’t want to depend on images, you can use the Minimal layout, which doesn’t use images and still looks clean and appealing. You can also add custom CSS and JS to your quiz, if you’re an experienced user and want to customize the quiz even further. The different types of quizzes will allow you to include suggestions based on different factors, but to set the suggestions you’ll always use the ‘Query Builder’ which will allow you to select which type of content to suggest, which hopefully will include everything from your website, from Pages, Blog Posts, Custom Post Type entries like Team Entries, Portfolio, Testimonials and even WooCommerce or Easy Digital Downloads products. 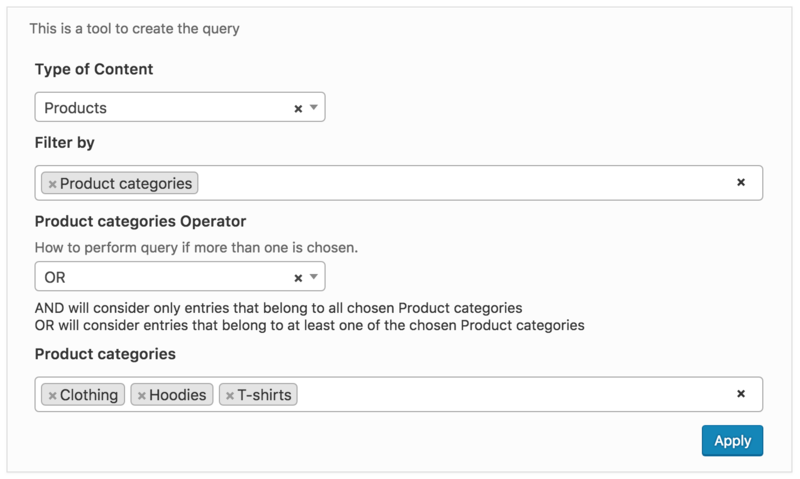 You can then narrow down the content, filtering by any taxonomy like categories and tags, search for keywords or for WooCommerce Products, you can also filter by price, availability, among other parameters. 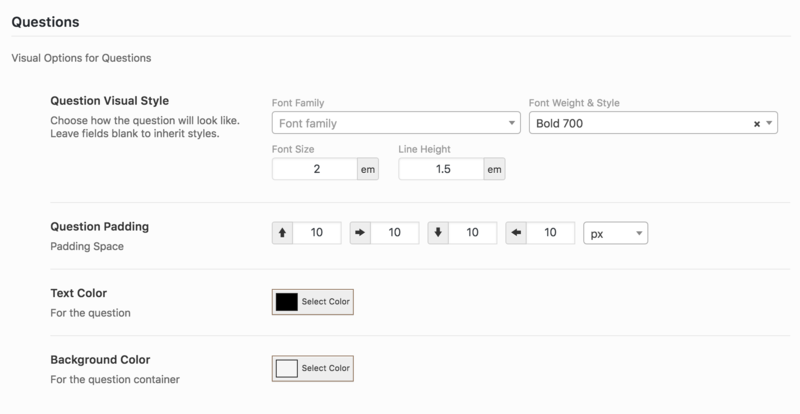 You also have some simple layout rules on how the suggestions will display. Each quiz will include some simple marketing tools. You can enable social share links at the end of the quiz together with the results, to allow users to share their result. You can also lock the result behind an email capture form, so the users only see the quiz result once they entered their email. Each quiz will have a unique shortcode that you can use anywhere on your website in order to display the quiz. 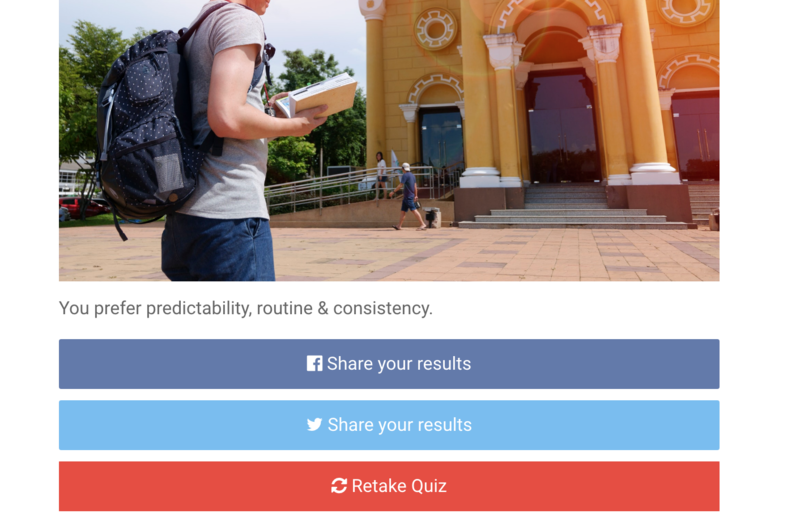 Easily integrate each quiz on a post or page, where you can have more content. This makes the quiz virtually compatible with all the themes, including the most popular: Divi, Avada, X-Theme, The7, Enfold, BeTheme and with all Page Builders, like the Divi Builder and Visual Composer, adding the shortcode to text modules. The plugin is ready to be translated and for each quiz you create you can customize the button labels and information, so you can have different quizzes for different languages.